After fifteen years, Developers decided to create a remastered version. The races are more rapturous and enjoyable. The physics for accidents and action scenes are much better. Although the graphics are for new generation but there aren’t many changes in the gameplay. For start, you will have 495$ money in your account. So you can buy a car named Vagabond and customize it. Then enter your first competition and try to get the score from this level. Maybe players won’t be able to be the winner at this stage. But don’t worry. Because there are so many levels for earning money after this one. There are no rules for these kind of racing! All of the racers try to get to the finishing line at any price. So use any items for destroying other cars. Some of items can be gotten inside the game. But the others have prices at she store. You should pay money for getting them. If you don’t annihilate other cars, They will do this for you! By passing levels and earnings money, New items or cars would be available. Paying for outside the car at first is a worth doing. Because you need to upgrade the engine or other internal parts. Opponents will upgrade their cars too. They want to remove other drivers on the map and They may do it. In total, Death Rally has 19 Maps but each of them has some levels inside. 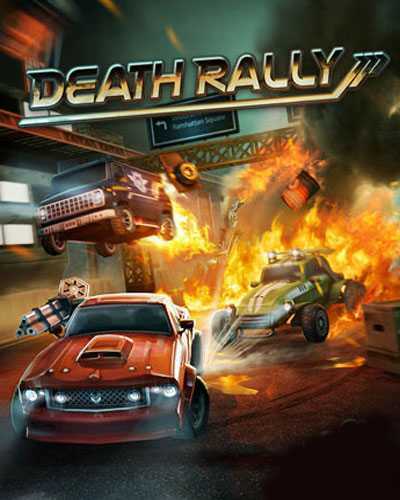 8 Comments ON " Death Rally Free PC Download "
it ask for the password please tell me the password to open the file. Please add Sonic Mania to this website.